The definitive record guide to the progressive era of rock music, Strawberry Bricks presents a standard discography of music from artists around the globe. 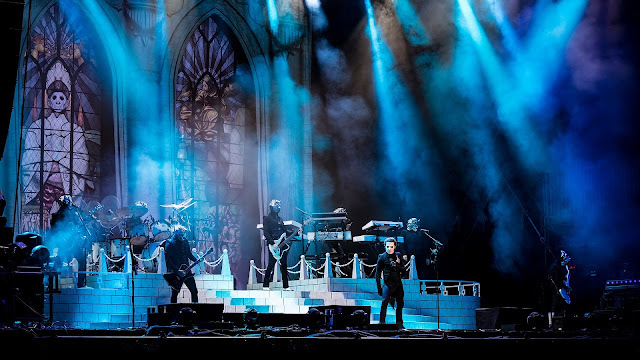 Beginning in 1967 and continuing through 1982, a generation of musicians took rock music in directions unforeseen as they charted what would become known as progressive rock. 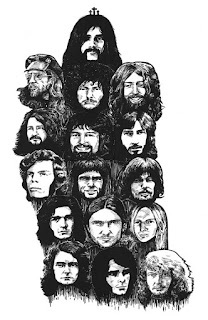 This edition also includes exclusive interviews with a host of musicians of the era, providing proof that progressive rock was indeed the music of a generation. From art rock to krautrock, from England to Germany to Italy and all across Europe, Strawberry Bricks offers a candid reappraisal of rock's most cerebral genre. The book also includes exclusive interviews from the following artists, about their early life and how they began their music careers: Dave Lawson (Web, Samurai, Greenslade), Martin Barre (Jethro Tull), Christian Grumbkow (Hoelderlin), Derek Shulman (Gentle Giant), John Wetton (Mogul Thrash, Family, King Crimson, UK, Asia), David Jackson (Van der Graaf Generator), Pye Hastings (Caravan), Hugh Banton (Van der Graaf Generator), Gigi Venegoni (Arti e Mestieri), Hartwig Biereichel (Novalis), Ciro Perrino (Celeste), Michael Rother (Neu!, Harmonia), Joachim “Eroc” Ehrig (Grobschnitt), Rich Williams (Kansas), Steve Hillage (Khan, Gong), and Lutz “Lüül” Ulbrich (Agitation Free, Ashra). 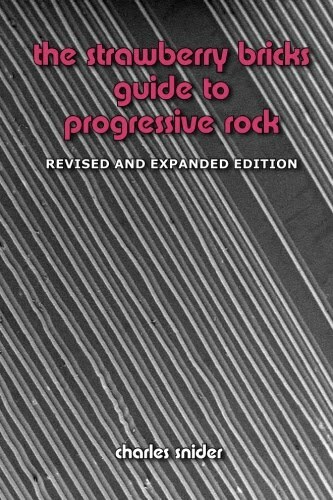 The Strawberry Bricks Guide to Progressive Rock is the definitive record guide to the classic progressive era of rock music. 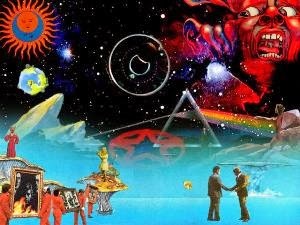 Beginning in 1967 and continuing until 1982, the book presents the progressive rock canon, set in the presentation of a timeline. This new edition extends the timeline into the early 80's, to offer a more natural conclusion to the progressive era, as well as offering a broader selection of albums from the era. Secondly, beginning with a database of the birth years of musicians in the timeline, the book offers that what we now know as “progressive rock” is in fact the music of a generation. The statistics play out: the median birth year for the “progressive artist” is 1947, with a standard deviation of +/- 3 years. Says Charles, “I’ve also conducted many interviews with artists from the era, and 16 of these appear in the book. The premise was to study their early lives, from birth through the late 60's and very early 70's, to find the commonalities that these men experienced. 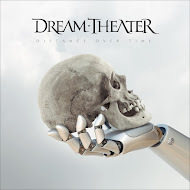 The newly written Prologue offers a historical perspective of the pretext to the progressive era, beginning post-WWII, while the Epilogue offers a current perspective on progressive rock since the early 80's. 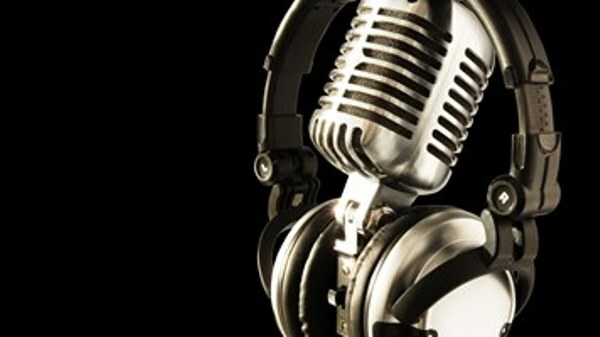 “I've also spent a good deal of time fact-checking every detail in the book, including song titles and artist names. Further, this edition has been professionally edited and peer reviewed, all to make this as exacting and rewarding a book as the music it covers. Strawberry Bricks is another narrative on the classic era of progressive rock, one with hopefully a novel and candid outlook on the genre, its albums and the men that made it one of the most interesting chapters in rock's history. Charles Snider has been collecting records since the early 70's, amassing one of the most complete archives of what is known as progressive rock. “One of my earliest memories of vinyl was The Beatles' 'Paperback Writer' b/w 'Rain.' I can remember turning the balance knob to isolate the sounds within the stereo mix, and just being fascinated with the tones of the instruments.” Snider's self-professed passion for the music “archaeology” continued over the decades, branching out to many other genres of music. “In the early 90's, Kevin Eden and I curated the WMO label, with the cooperation and support of Wire. The CD was a new format, and we released a lot of hard to find records, as well as unreleased archival material and two very good tribute discs.” Upon moving to Chicago in 2000, he began writing the first edition of The Strawberry Bricks Guide to Progressive Rock. “I've always loved record guides. Certainly, Ira Robbin’s Trouser Press was the prototype, but growing up in the 70's with magazines like Circus, Creem and of course Rolling Stone, I've always enjoyed the passion writers convey about music.” While not listening to prog rock, Snider can be found blogging about personal technology or cheering on the Chicago Blackhawks. 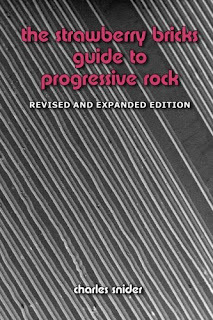 The Revised and Expanded Edition of The Strawberry Bricks Guide to Progressive Rock is released on Record Store Day, April 22nd, 2017. Available direct from http://strawberrybricks.com/the-book, and from Amazon.com (including UK and EU). Published by http://www.strawberrybricks.com/ via CreateSpace.com, an Amazon company.